[PDF] Encyclopedia Of Philosophy (10 Volume Set) | Free eBooks Download - EBOOKEE! 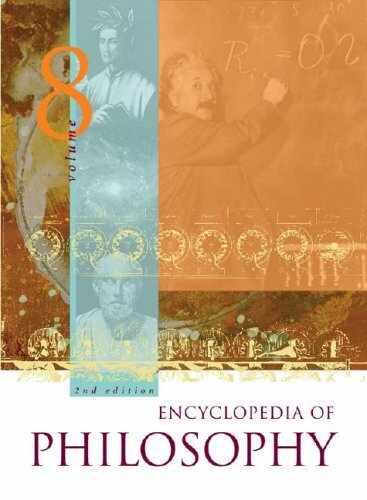 Description: The first edition of Encyclopedia of Philosophy, published in eight large volumes in 1967, was the standard philosophy reference for more than a generation. Though it has aged gracefully, the passing years nevertheless called for updated bibliographies, revisions, and new articles, culminating in the 1996 one-volume Supplement. Now, in the face of significant competition since the late 1990s, comes the second edition, which integrates most of the 1967 and 1996 material with hundreds of new articles, addenda to earlier articles, and updated bibliographies. Section editors were given the task of reviewing the earlier entries and deciding which could be retained, with perhaps only bibliographical updates, and which required addenda or completely new material. No comments for "[PDF] Encyclopedia Of Philosophy (10 Volume Set)".